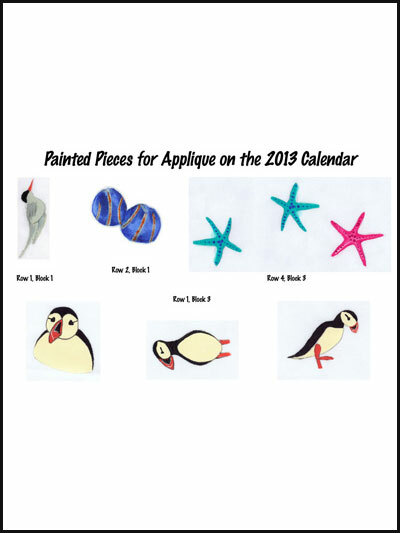 Reproductions on fabric of the hand-painted Arctic tern, puffins, starfish and sea apples are ready for you to cut out and applique onto quilt blocks for the 2013 calendar quilt. These printed figures save you the time of painting your own, and provide the same look as the hand-painted ones on the original quilt. Instructions are included for care of the fabric transfers.